Have you heard the UK has a drought? What a crock of .....The UK has floods, it hasn't stopped raining here for weeks. 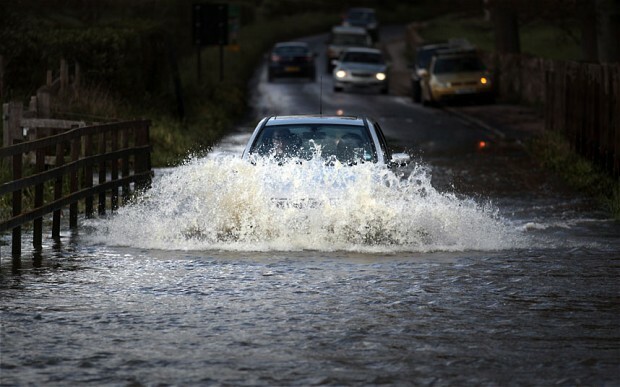 In April 2012 there was 5 inches of rain which makes it the wettest April since 1910. The first point I'd like to raise is, the environmentalists are going crazy and ranting that our bizarre weather is due to climate change. If that is correct what happened in 1910? That argument simply does not add up. I wonder if they blame their ingrowing toe nails on climate change? Does this look like the average scene from a drought torn country? Yet we still have hosepipe bans across the country. Me thinks the water boards are having a laugh dear heart. But no, its really not a joke. Yeah yeah, but they don't mention the water they inefficiently lose through leaks in their systems. It was reported in the Guardian yesterday "3.36bn litres of water a day are currently being leaked by this countries water companies"
So are they are losing more than we are using? Yet we're being encouraged to be proud to be dirty? Thames Water has printed and handed out hundreds of bumper stickers with the slogan "Proud to be Dirty" they say,in an attempt to encourage drivers to stop washing their cars. Or is it just the companies private mission statement? Anyhoo isn't our country going to look splendid when all those foreign visitors come over for the Olympics. Dirty streets, dirty cars and brown dead grass.